Cut PP panel and adhere to card front. 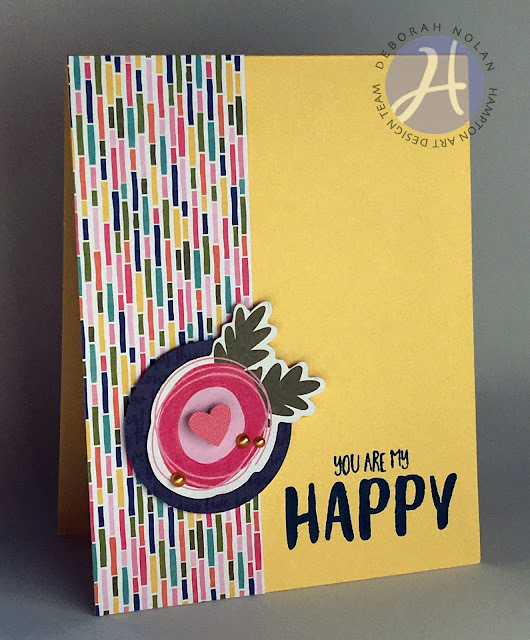 Adhere PeaPod flower to circle; then adhere to card with foam dimensional tape. Adhere heart sticker with foam dimensional tape. What a darling card. Love that paper. This card would certainly make someone happy.